New parents are never truly prepared! Grandmothers can offer reassurance and support – especially for breastfeeding. 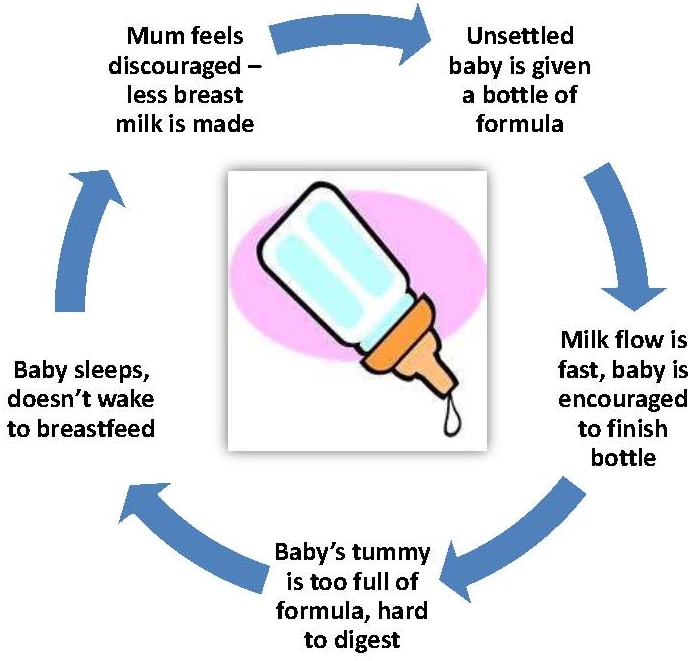 Encouraging your daughter or daughter-in-law to keep her little one close, and to follow his cues for feeding, will help her make plenty of milk. We know now that it is normal for babies to cry when they are put down – this helps make sure they are held, cuddled and fed, making them strong, secure, happy & intelligent. The special foods you offer may help too, along with caring for older children, and giving dad, mum & baby time together to bond. Being a grandparent is a big responsibility! Grandparents sometimes suggest giving bottles of formula because they may worry. BUT – unless there is a medical reason, bottles are almost never the answer.